Public Readings: Monday 4, Monday 11, Monday 18 June at dusk. 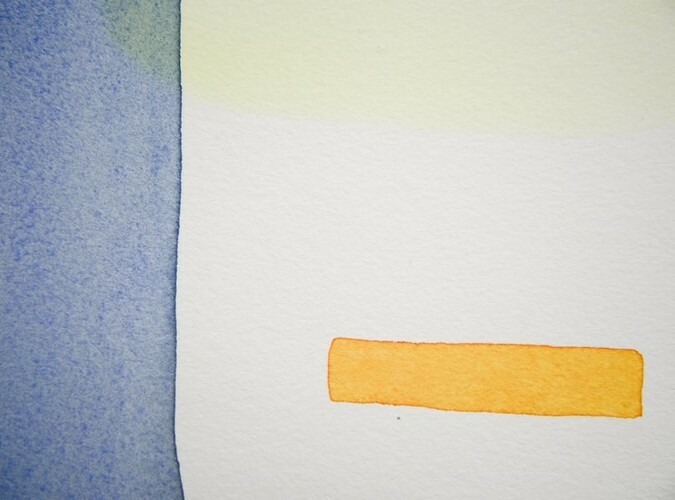 and night through a series of observational watercolour paintings and writings by Chora Luz Carleton. At gloaming, a strange light obscures our perceptions, colours transfigure into shadowy masses. The state of transition marks changes in our mental perception and focus, we define our world as a smaller more intimate space and the darkness looming beyond, calls the imagination. Drawing towards the winter solstice this exhibition celebrates the growing dimness over the colder months. Carleton extenuates the lighting conditions within the gallery as if it were dusk. Within this temporal atmosphere, paintings and readings of observational poetry explore the connection between the perception, understanding and communication of space, colour, light and sense.